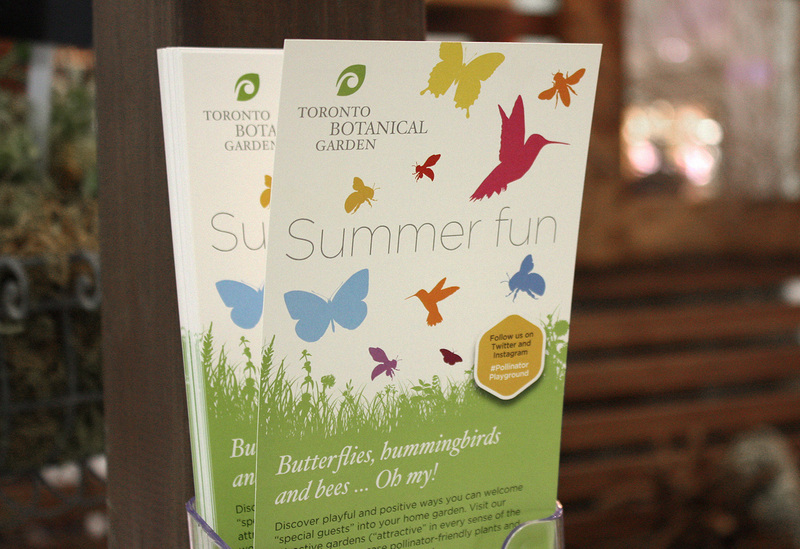 Pollinators are integral to the sustainability of our ecosytems and natural resource production. 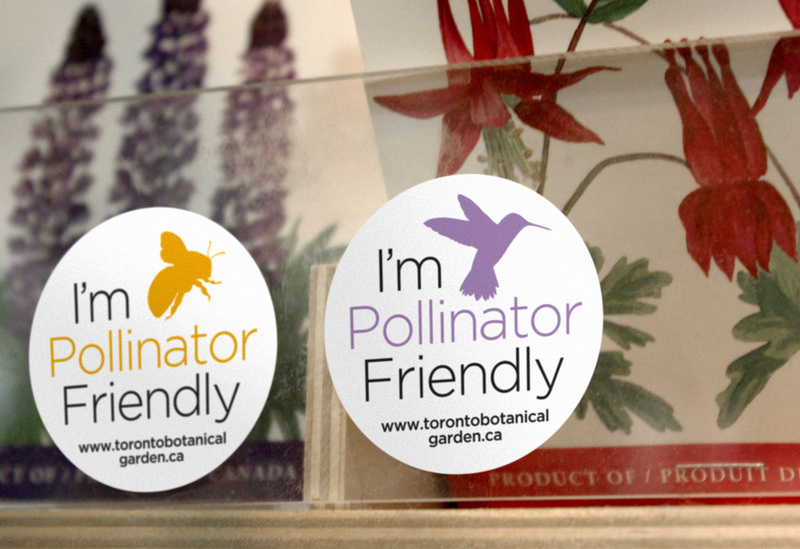 Somewhere between 75% and 95%¹ of all flowering plants on the earth need help with pollination – they need pollinators. 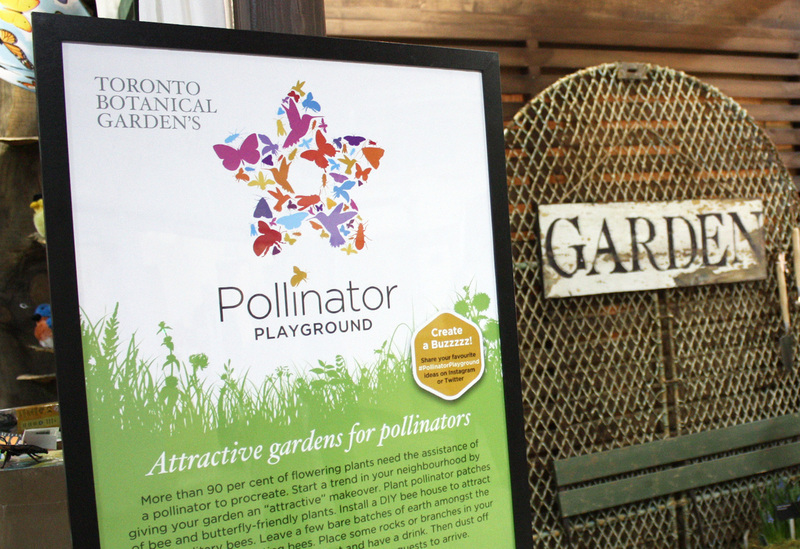 Pollinator friendly habitats provided the central theme for TBG’s display at the Canada Bloom 2015 event … a series of inspired balcony gardens coming together under the title of ‘Pollinator Playground’. 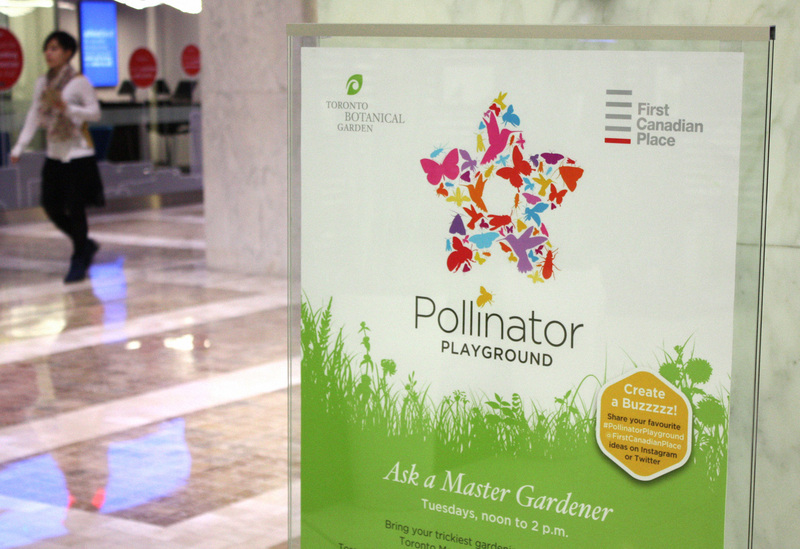 Studio Rationale worked with TBG to develop the Pollinator Playground identity, various interpretive/signage panels and a range of supporting materials. 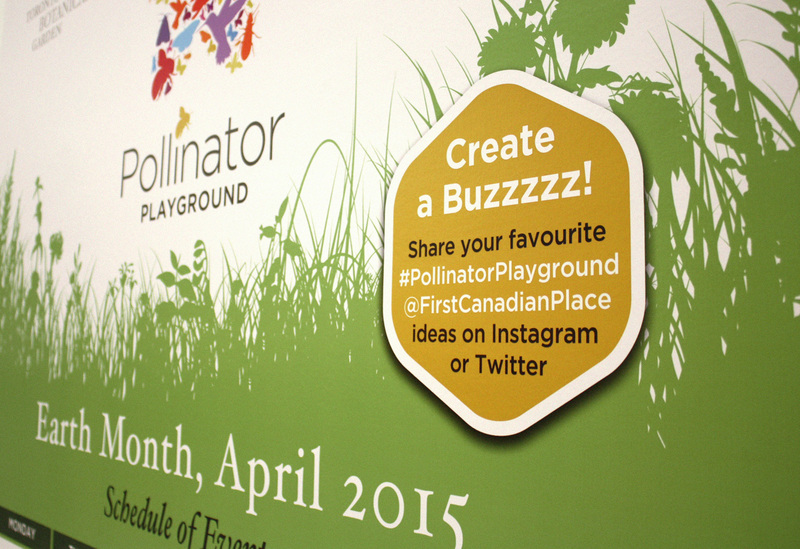 The Pollinator Playground was also displayed at First Canadian Place in celebration of Earth Month. ¹ Ollerton J, Winfree R, and Tarrant S (2011) How many flowering plants are pollinated by animals? Oikos 120:321-326.